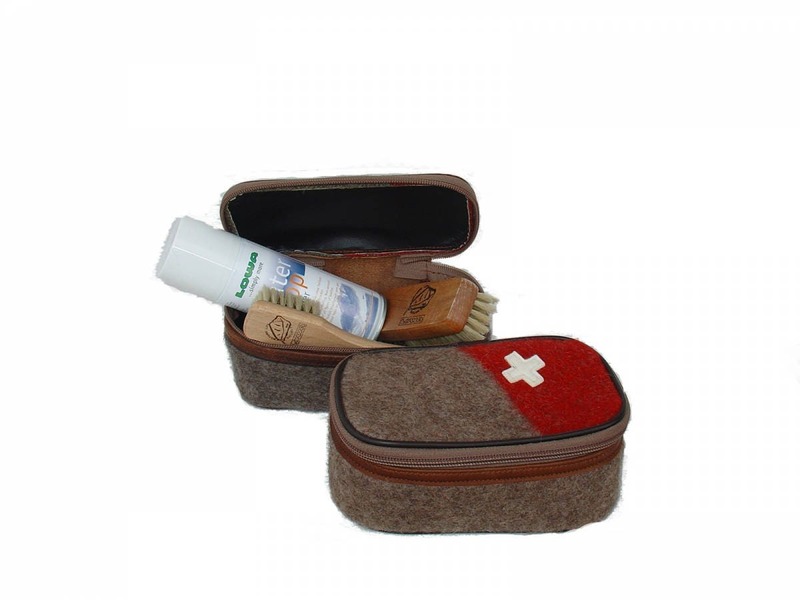 Case with shoe polish necessities. Ideal for travelling. Includes: 2 brushes, Leather Care Spray, Shoehorn and Cloth.